You don’t want anything to happen to your little cuddle bunny, but it’s inevitable that there may be some sort of small–or even big–emergency, injury, or illness in your rabbit’s future. When you add a bunny (or two) to your family, you want to be prepared the same as you would be for any other family member. In addition to buying the right foods and proper housing, you should have a rabbit first aid kit on hand to deal with the most common situations that come up. Many owners think this is something they don’t have to worry about, especially with young rabbits, but I can tell you from my own personal experience that when something goes wrong, you will be so glad you were prepared in advance. Also–again my personal experience–it’s very likely that something will happen at night or on the weekends when you can’t reach your regular vet for advice or run out to the store to get essential supplies. Having these recommended items on hand in your rabbit first aid kit can help save you a costly emergency trip to the vet or even save your rabbit’s life. A rabbit first aid kit is essential for every bunny owner. All right, now that we’ve established how important this is, let’s go through all the things you’ll need in your kit. When Should my Bunny Go to the Vet? How do I find a rabbit savvy vet? What emergency situations require a vet visit? 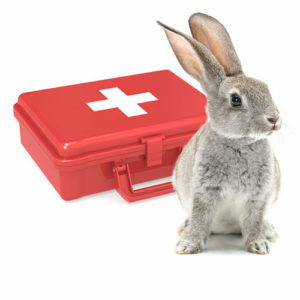 This is a list of items we recommend you have on hand in your rabbit first aid kit. Some are common items that you may already have around the house or in your regular first aid kit. Many of these items can be purchased at a pharmacy or from your vet. We included links to many of the harder to find items on Amazon. Because many of the items will have expiration dates–especially foods and medicines–make sure you are replacing the items as they expire. We highly recommend getting some sort of container to keep these items in so they’re easy to find or grab in the case of an emergency evacuation. I would recommend something sturdy and waterproof, you could even take a traditional plastic first aid kit box and fill it with all your rabbit’s essentials. Veterinary Contact Info – If you have a business card for your rabbit vet, include that or write it on a piece of paper. If there is an emergency exotics vet or other emergency resource (like a shelter) in your area, include that contact info as well. Vetrap Bandaging Tape (Buy on Amazon) – This is a self-sticking bandage tape often used by vets to secure bandages on animals. Rounded Tip Scissors (Buy on Amazon) – to cut bandages and tape. Disposable Gloves – to prevent the transfer of germs. Vetericyn Wound & Skin Care (Buy on Amazon) – An antibacterial spray that is safe for rabbits, good to use to clean scrapes and cuts. Neosporin – Make sure it does not have “pain relief” ingredients. For treating minor cuts and wounds. Nail Clippers – These are to have on hand to regularly trim your rabbit’s nails. Regular human nail clippers work fine for this but you can buy pet nail clippers as well. Styptic Powder (Buy on Amazon) – If you accidentally clip your rabbit’s nails too close, they will bleed (same if they get their nail caught and rip it off). Dip the nail in styptic powder to stop the bleeding. In pinch, you can use cornflower. Do not use for other wounds, just nails. Oral Syringes (Buy on Amazon) – If your rabbit stops eating or drinking, you’ll need these to administer food and water to help prevent GI Stasis. Get 1 cc size for medication and 35 cc size for feeding. Oxbow Critical Care (Buy on Amazon) – This supplement is useful to syringe feed your rabbit if they stop eating. 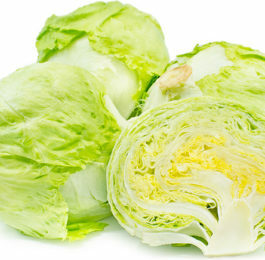 The flavor is tasty and it will get them the nutrients you need. Just mix with water. Baby Food – Another trick for feeding a stubburn bunny who has stopped eating is to water down some baby food and feed it through a syringe. Make sure to buy organic baby food with no additives or other ingredients. Pumpkin and squash are highly recommended. In a pinch, you can use watered down canned pumpkin with no additives or seasonings. A&D Ointment (Buy on Amazon) – Sold in stores as a diaper rash ointment, A&D is often recommended by vets to treat hock sores on rabbits. If you have Bag Balm on hand, this can also be used. Infant Gas Medication (Buy on Amazon) – GI Stasis can be caused by gas build up in the stomach that prevents your rabbit from eating. You can give your rabbit 1 cc of infant gas medicine (simethicone) every hour for three hours to try and relieve the build up. Make sure to follow up with a vet if you rabbit doesn’t start eating normally again. Papaya Tablets (Buy on Amazon) – If your rabbit is prone to hairballs, giving a papaya tablet weekly can help keep their system moving. Rectal Thermometer (Buy on Amazon) – Because a rabbit’s body temperature can be elevated by stress (like a carride to the vet), it’s good to be able to take the temperature at home to have an accurate number. This will need to be done rectaly, and we recommend using a digital thermometer. Learn how to take a rabbit’s temperature with this easy to follow video. This is a skill you will want to practice before an emergency, both so you are comfortable with it and so your rabbit is used to the procedure. Vaseline – To lubricate the thermometer. You MUST lubricate it well before taking your rabbit’s temperature. Vaseline or 100% petroleum jelly is recomended over other lubricants. Heating Pad (Buy on Amazon) – Can use an electric heatng pad or a microwaveable one. Cooling Pad – To cool an overheating rabbit. You can use a pet cooling pad, piece of tile, or an ice pack wrapped in blankets or a towel. Towel – It’s important to have a large bath towel on hand that you can wrap your rabbit in if you need to restrain them. 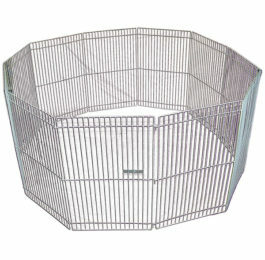 If you don’t already have a rabbit carrier, buy one ASAP so you can easily take your rabbit to the vet in an emergency. 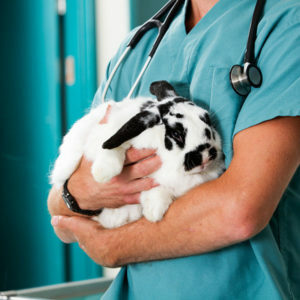 Just like cats and dogs, rabbits should have annual visits to the vet for check-ups. Since they are a prey animal, they easily hide any sickness or injury and an annual visit is a good way to catch health problems you may not notice. Having a relationship with a vet is also good because if you have an emergency situation you already know who to call or go see to take care of your bunny. If you cannot afford to take your rabbit to the vet regularly, you should not have a pet rabbit. This is an essential part of rabbit care and ownership. If you have a young rabbit who has not been spayed or neutered, you will want to have them fixed as soon as they are the appropriate age. This will greatly help with things like litter training and behavioral problems. It’s also essential for female rabbits who can develop cancer if they are not spayed. 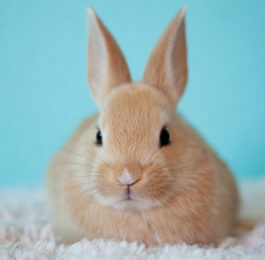 Include the cost of spaying or neutering your bunny in your considerations to add a rabbit to your home. In many places, this will cost around $150-$200. Because rabbits are an exotic pet very different from cats and dogs, you can’t just take them to a regular vet. Instead, you’ll need to look for an exotic veterinarian with special training in rabbits. If there are any rabbit shelters or rescues in your area, you can contact them for a recommendation of a rabbit savvy vet. If not, the House Rabbit Society has a listing of vets for the United States and some other countries like Australia, New Zealand, Canada, and the UK. If your rabbit goes 24 hours without eating or pooping–this can be fatal and needs immediate treatment! Learn how to rabbit proof your home. Find out what makes a healthy rabbit diet. Learn about safe rabbit litters and how to litter train your rabbit.